It has been one week since The Besnard Lakes released their fifth LP, A Coliseum Complex Museum, a shorter album of only eight tracks named for a peculiar road sign spotted in Texas. Continuing their legacy of mixing prog and psych rock in their Montreal studio, this album is a reflection of the sextet’s usual sound. 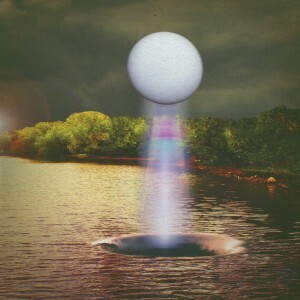 However, ACCM is proof of a new, more open Besnard Lakes, who have finally embraced their love for nature and the fantastical. The group’s name comes from Besnard Lake in Saskatchewan, which provides a spiritual, inspirational, and musical retreat. The tracks reflect an emphasis on the outdoors and the occult, citing mythical creatures and phenomena (“The Bray Road Beast,” “Necronomicon”). The band explores themes reminiscent of other psych rock bands, such as Tame Impala and M83, with lush synth and keyboard backgrounds, accompanied by rocking drums and guitar riffs: “dreamy Beach House riding Led Zeppelin dynamics,” according to lead singer Jace Lasek. The vocals, provided by Lasek and his partner Olga Goreas, are purposefully androgynous, and include sweeping harmonies à la the Beach Boys. A Coliseum Complex Museum opens with “The Bray Road Beast,” an ode to the cryptid roaming the Bray Road in rural Wisconsin. It is a true psych rock anthem, replete with hazy guitar melodies, shakers, stratospheric falsetto lyrics, and a great deal of reverb. The Plain Moon is a groovy and diverse track, with growling guitar riffs contrasted with full harmonies that alternately explodes into a lush garden of sounds and rhythms, harking back to 60’s-esque arrangements when the chorus hits. Necronomicon is arguably the “slowest” track; it is here that The Besnard Lakes have tapped on the brakes, diving into slow-wave themes, though continuing to maintain full choral effects for vocals. The album ends with Tungsten 4: The Refugee, integrating the heavy-handed guitar with tight riffs as punctuation amidst a wavy synth background. The track is routinely hit with a dose of ripping guitar solos, setting it apart from the album’s preceding synth-based tracks. The second half of The Refugee is almost entirely guitar work, paying homage to Led Zeppelin in increasingly intense solos before fuzzing out; a rather abrupt end to a increasingly complex track. A Coliseum Complex Museum may not hold too many new themes, but to fans of The Besnard Lakes and newcomers such as myself, the album does not disappoint. As the cover art foreshadows, the album is painted in a technicolor palette of sounds and rhythms: an organic amalgamation of organized chaos, and a wonderful experience for the listener. This entry was posted in CKUT programming on January 29, 2016 by Juliana Van Amsterdam.